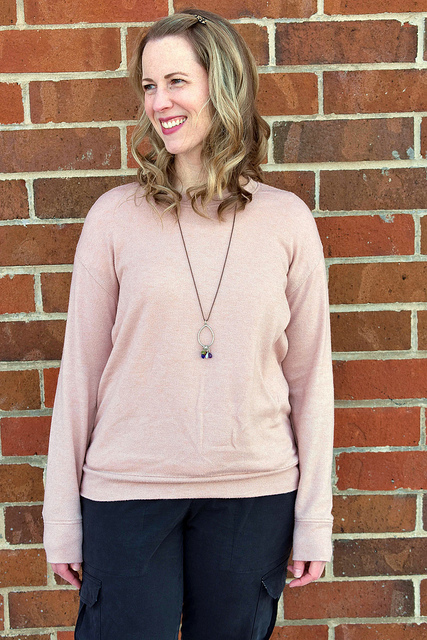 Today Teri is here to share her tutorial for turning the Tallinn Sweater into a flat front crew neck sweater. 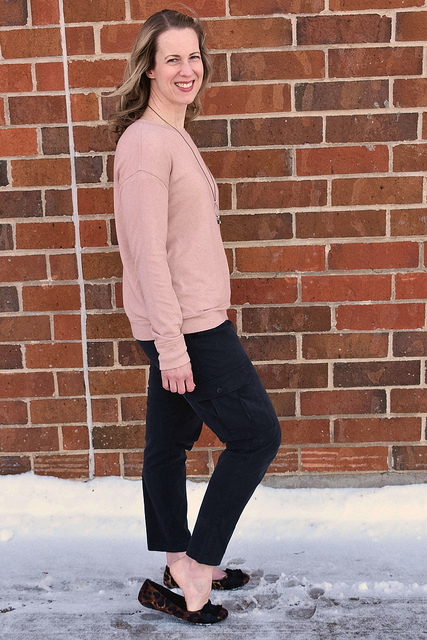 I love this hack so much because even though the Tallinn has a fun asymmetrical front with a turtle or cowl neck, at its heart it is really just a very simple dropped sleeve sweater pattern that can be used to hack so many styles! (Remember the duster sweater hack?) 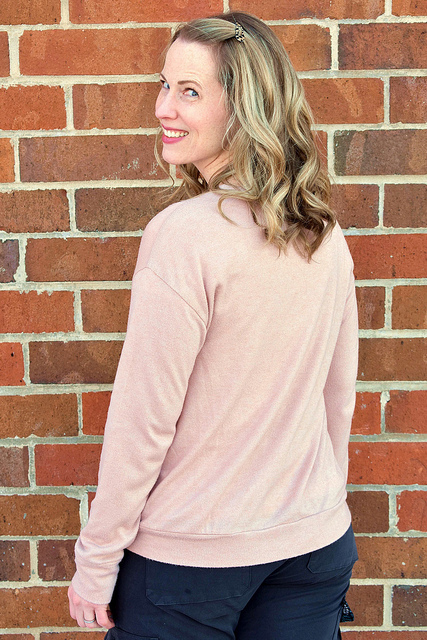 But I love that the simplicity of Teri’s version makes it perfect for showcasing a soft sweater knit and staying cozy all winter long. Hello! I am so excited to be here today to show you my new sweater! I have been wanting to make a cozy, dropped shoulder, crewneck sweater for a while. I needed to replace one of my favorite ready to wear sweaters that has an unfortunate coffee stain on the front. Thankfully there is a Hey June pattern to meet almost all of my needs! 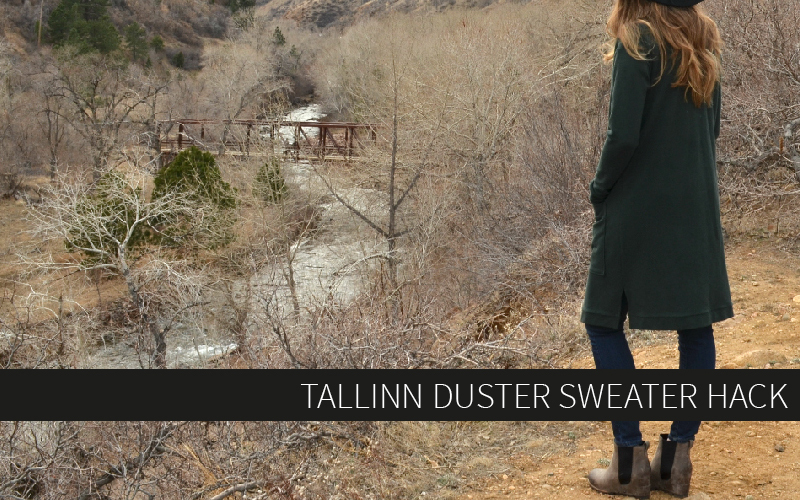 I have made the Tallinn Sweater once before and I love the fit. The dropped shoulders are really similar to the sweater I was trying to replicate so I knew it would be a great starting place for my sweater. There are two front pieces included in the Tallinn Sweater pattern which create the cross front style. I used the left bodice to create the front pattern piece for my sweater. 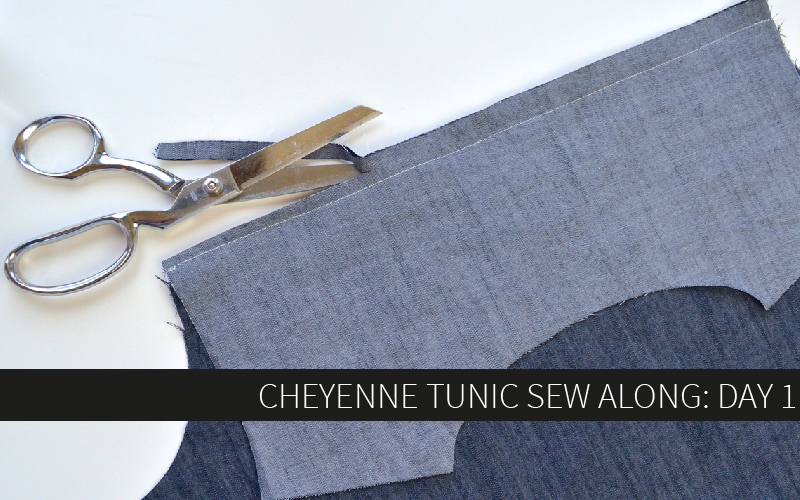 (The left bodice piece has a straight hem and the right bodice piece has an angled hem that creates the Tallinn’s cool asymmetrical front.) 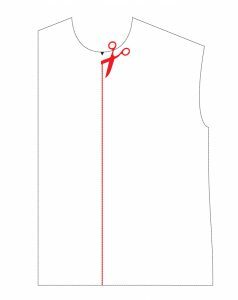 There is a notch on the pattern piece that marks the center front of the neckline. 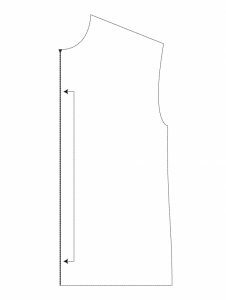 I drew a straight line from that notch down to the hem, cut the pattern piece on the line, and discarded the part of the pattern that was on the left side of the line. I cut my new front bodice piece on the fold and used the existing back piece to create my sweater. 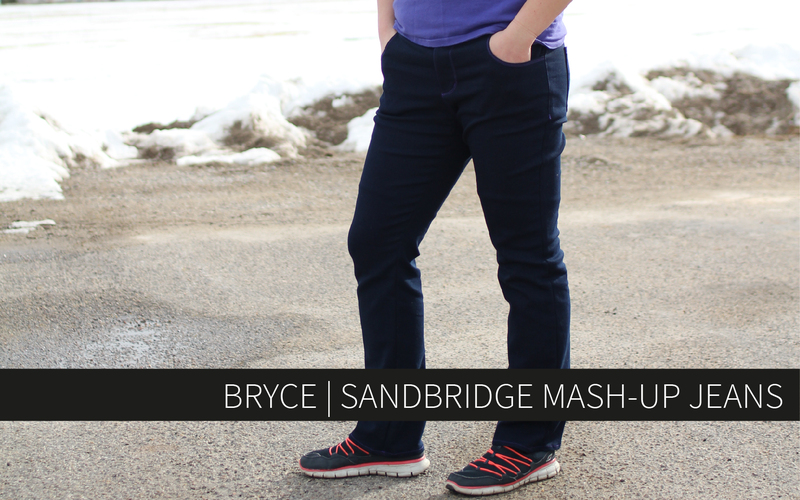 I used the neckline from the Union St tee to get the perfect shape crew neck. 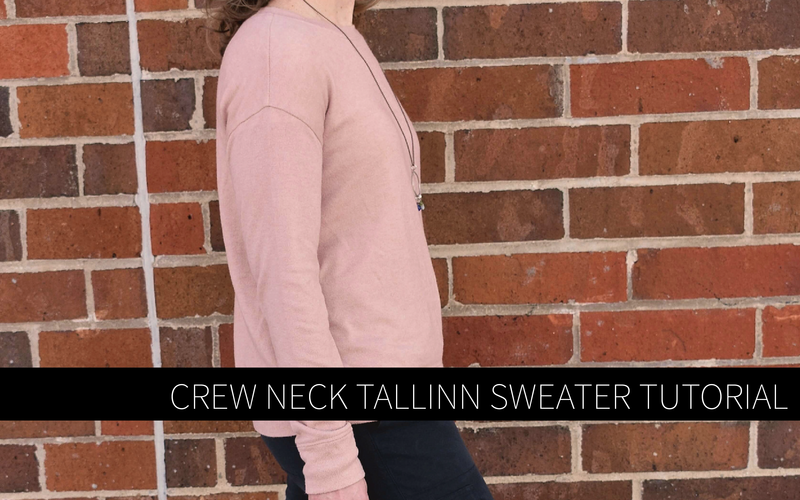 There are crewneck pieces included in the Union St tee pattern and it was really easy for me to lay it over the Tallinn bodice pieces to revise the neckline. 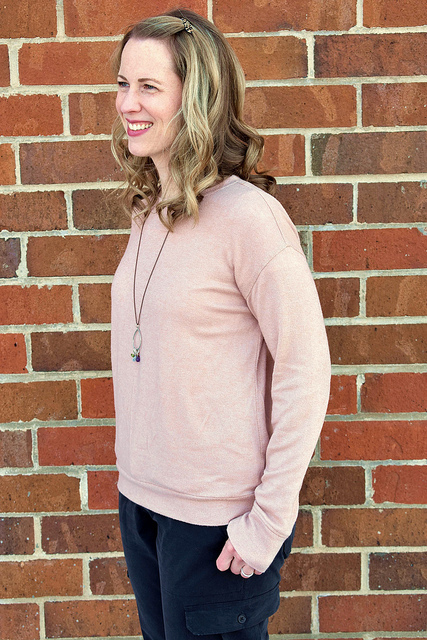 I love this sweater so much that I think I might make another with the cowl neck that is included in the Tallinn Sweater pattern! 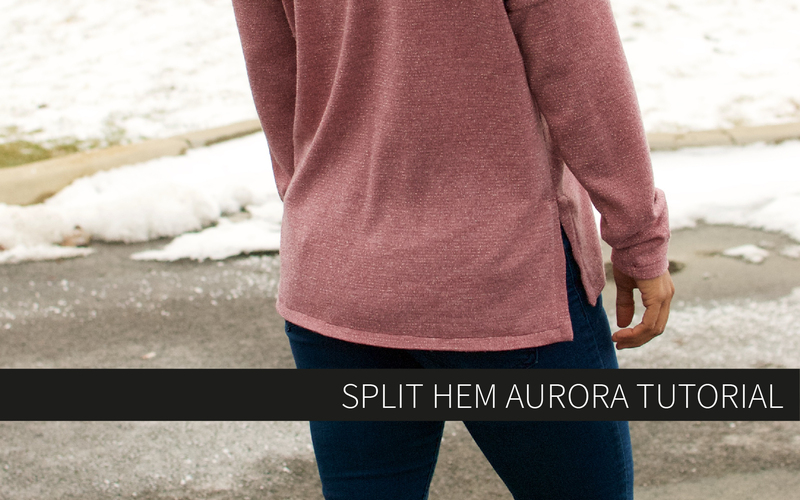 I used the neckband piece from the Union St tee for this sweater, but I cut it 1/2″ wider than the pattern piece. The sweater knit I used looked nicer with a slightly wider neckband. I played around with the bottom bands a little bit to get them the right length. The length I settled on was 90% of the circumference of the bottom of the sweater. I like having just a little bit of negative ease at the hem. 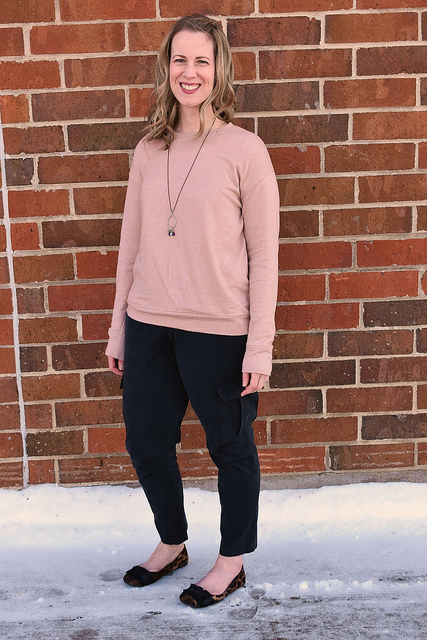 This sweater (paired with my Bryce Cargo Pants) is just what I need to get me through the rest of Winter. I hope you give this hack a try! Thank you so much for sharing this tutorial Teri! 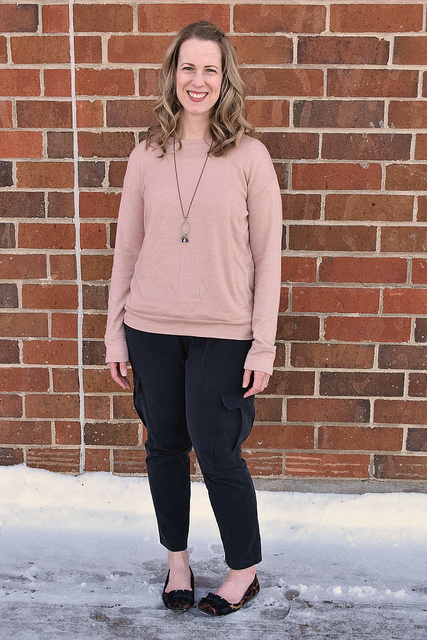 I think this sweater would work in just about any soft and cozy fabric, and of course I think it looks so cute with the Bryce Cargos!! Teri always has a knack for putting together the cutest outfits and I love her laid back but put together style. 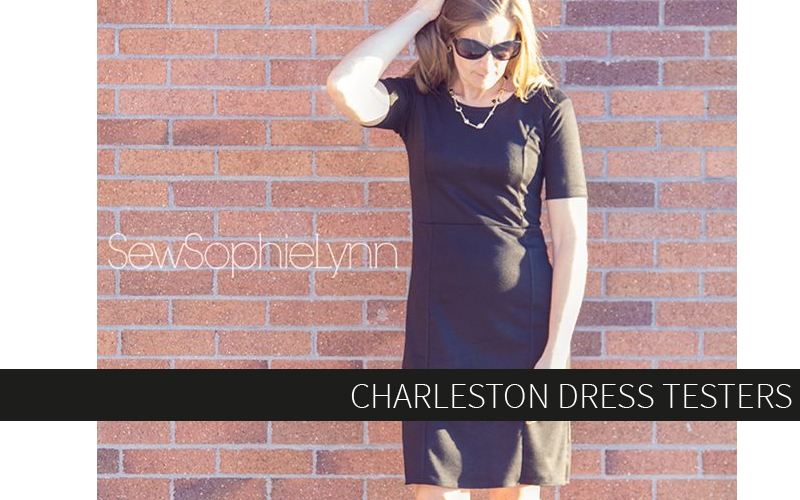 Make sure you’re following her on Instagram and check out her blog for all her gorgeous makes!